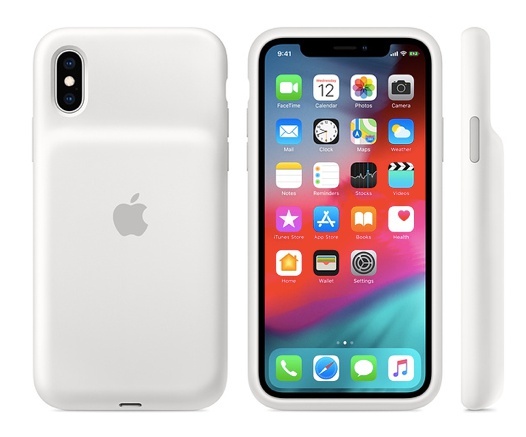 Apple just unveiled the Smart Battery Cases for the iPhone XR, iPhone XS and iPhone XS Max. Available in black and white colors, the new Smart Battery Cases are also compatible with Qi-certified chargers, which means you can charge the iPhone and the case at the same time. The intelligent battery status will be displayed on the iPhone Lock Screen and in the Notification Centre when you have the Smart Battery Case on. It can be charged faster using USB-PD compatible chargers and supports Lightning accessories such as the EarPods with Lightning Connector. Finally, whether you're getting it for the iPhone XR, XS, or XS Max, the new Smart Battery Case costs S$199. In the U.S., the cases will start shipping tomorrow, so it should only be a matter of days before you can order one through the Apple Store Singapore or pick one up at Apple Orchard.